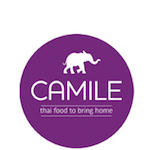 Realising that the only branded delivery food currently on the market was pizza and that there was a considerable amount of people who yearned for something that was healthier and of a higher quality, hence Camile Thai Kitchen was born. Founded in 2010 Camile has grown from strength to strength and with two new branches in Dublin opening early in the first quarter, this is set to continue. 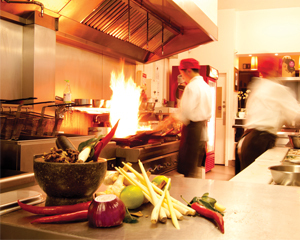 Camile Thai Kitchen will deliver to most of the city with these new outlets opening in Santry and Sutton. Not only will this allow quality food to reach the tables of more Dublin homes, but it will continue to raise brand awareness in Dublin and further afield. The processes that have been put in place for opening new branches will make the launches a smooth and straightforward affair. The typical Camile customer is a young urban professional with money to spend but no time to cook. They order straight from whatever screen they are using; laptop, tablet or phone. To help this process they have developed a great new app that will see even more upgrades in the New Year. This is just one of the many ways they continue to differentiate themselves from their competitors along with marketing which is leading the way in brand awareness and social media interaction in this space. The innovation in technology is something that Camile uses to help create a superior customer service experience, and this is something that has been continued this year with the addition of iPad based ordering Kiosks in some of the branches. Realising that to keep catering for the market they aim at Camile must not only keep up with technology but also innovate is one of the reasons that makes the company so unique and a great reason to become a part of. Camile has all the ingredients in place to make it a success – not only in Ireland – but across the the U.K. For starters it has arguably one of Ireland’s most prolific entreprenuers as its founder in Brody Sweeny. Brody is no stranger to franchising, quite the oppostite in fact. He founded O’Brien’s sandwich chain in 1988 and together with his management team built it to nearly 350 stores in 16 different countries. What sets its apart from other home delivery businesses like pizza, is that this business has the convenience and speed of fast food, but its delcious food is made from unprocessed fresh ingredients which are good for you. And they do it in a sustainable way thats good for the environment. As it stands almost 50 per cent of the company’s business comes through it’s website, mobile and App. This is a business that puts innovation second only to customer service and for this reason Camile would be a wise choice for anyone looking to invest in business opportunity with an extremely lucrative future.